I am so far behind on blogging that it is ridiculous but I am compelled to post a quick peek of this session of a most adorable and sweet six month old boy. Oh goodness he is so sweet. I don’t believe he cried or fussed at all the entire time. And oh so photogenic with his bright blue eyes, sweet smile and fuzzy blond hair. It was three years ago that I photographed his beautiful older sister when she was about the same age. It is always such fun for me to be able to see my past baby clients as they grow. You can see big sister’s baby session here. Mom, Dad and Grandparents, I hope you enjoy this little peek at the photos. More to come soon. What a beautiful smiley little boy! And look at those EYES!!! Great job Laura! 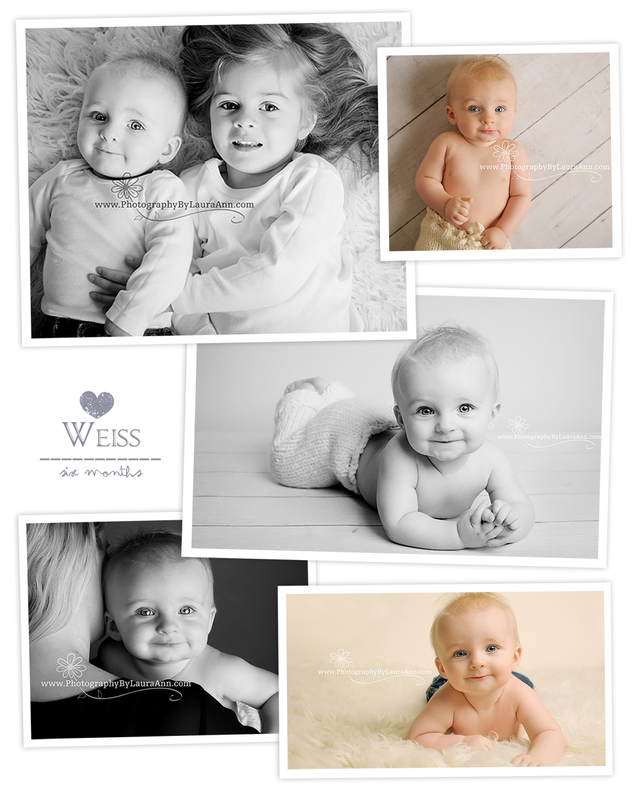 What a beautiful session with these two little cuties! I know their mom absolutely loves the one of them together. Just beautiful! Such a cute little boy! Those eyes.. Man he is such a cute little boy! Amazing work as always.